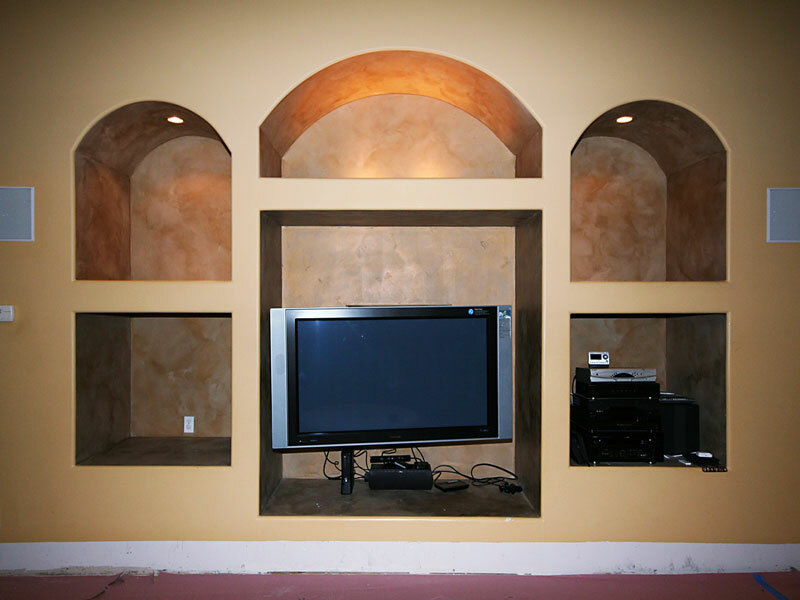 Advanced technology permits hiding wires and appointing your entertainment areas with style and class. 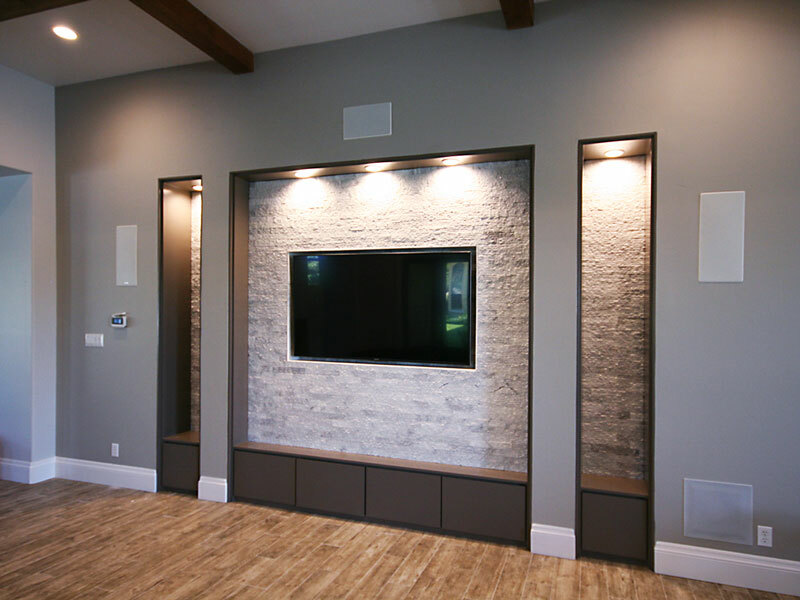 This project encompassed a complete demolition of the old entertainment center to make room for a sensational new TV Niche with recessed, remote-controlled television display and sound system with invisible low-voltage equipment. Wood cabinetry and trim were custom designed, fabricated and installed. Glass tile background and recessed dimable LED lighting adds to the ambiance, creating a certain mood for each occasion.